In the summer, there's nothing better than grabbing a drink or two (or three) on a roof terrace somewhere high above the city. Sun in your face, some nice background music and an icy cocktail in your hand.. the perfect ending to a busy work week. If this sounds like music to your ears I've found just the place for you. 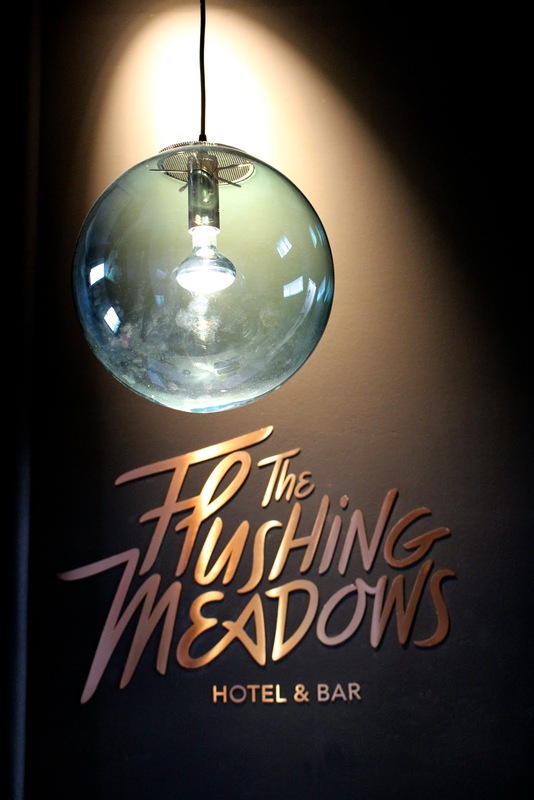 The Flushing Meadows Hotel & Bar is one of the most recent ventures of entrepreneurs Sascha Arnold, Niels Jäger and Steffen Werner. The trio is responsible for some of my favourite places in Munich such as Super Danke, James T. Hunt and Stereo Cafe. Also Bob Beaman, Edmoses and Cantine Cantona are a part of their gastronomy group. This already explains why I already knew that I'd love this bar, before having set a foot inside. The entrance to the hotel/bar is quite low-key, but easy to find since it's right next to Super Danke. 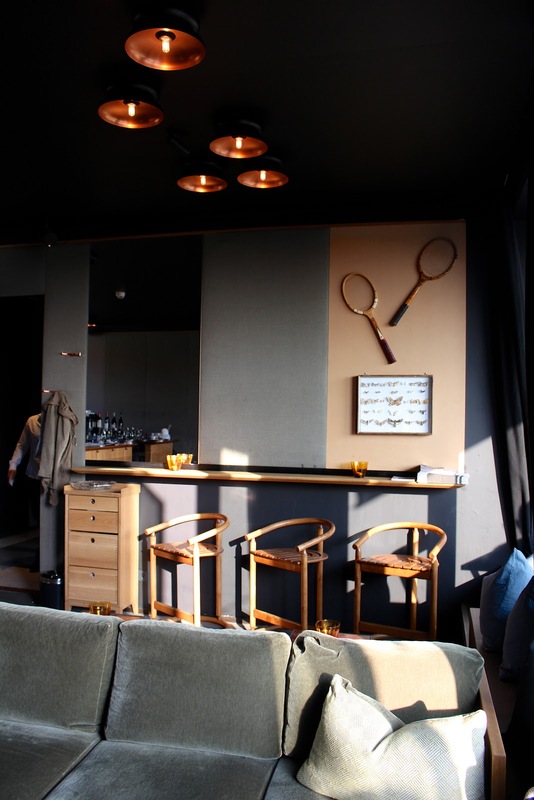 The Flushing Meadows is a small design hotel with only 16 rooms and a small rooftop bar, open for guests and locals. 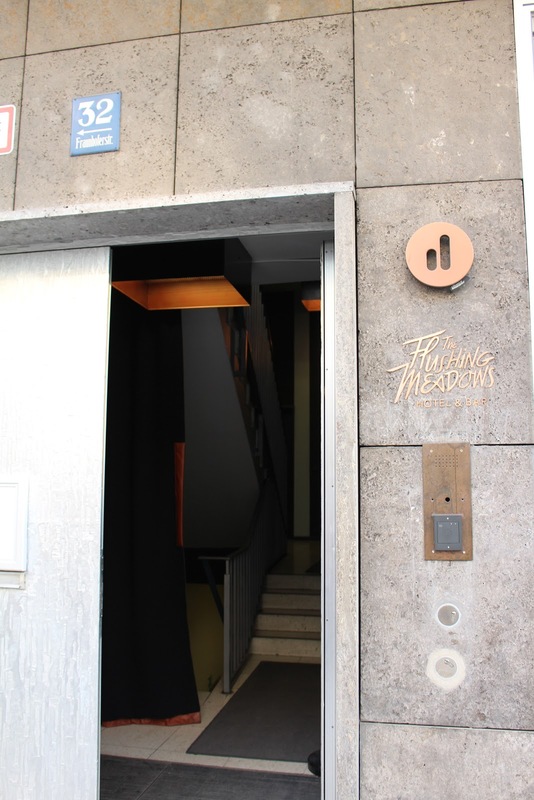 The elevator takes you right up to the bar, which is open daily from 7 am (breakfast) until 2 pm (drinks). The bar is small and cosy, with cool lighting and a terrace on both sides with a great view of Munich. The lighting inside is done by the Lebanese design firm .PSLAB, whose work you might have seen in Aesop stores or in The Jane in Antwerp. Even though the building is quite industrial-looking, the bar is cosy because of the 'soft' fabric walls, velvet cushions, wooden furniture and rugs on the floor.. kind of like a little cocoon you could stay in all day and night. 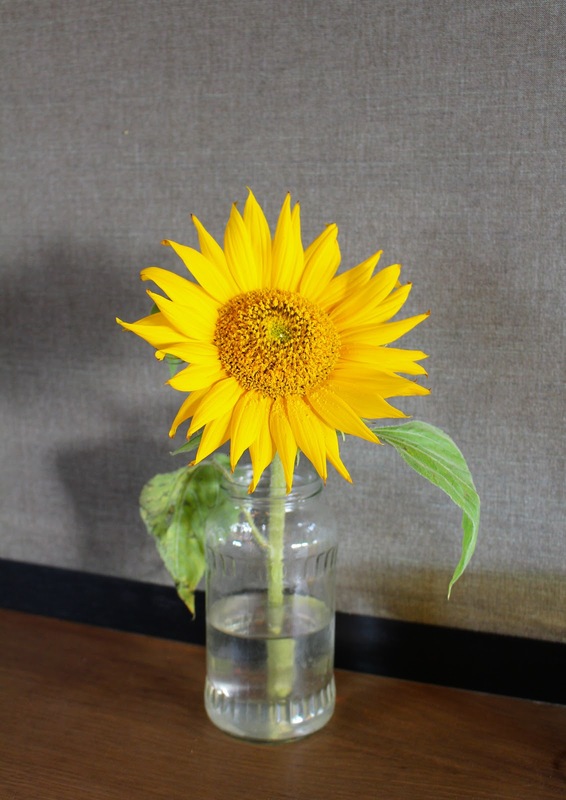 The reason why it's a great place for a sunny drink is the perfect rooftop. Not too busy, sunny and more 'personal' than most hotel rooftop bars. I like that you really get this home-feeling when you're here, which is usually hard to fake. 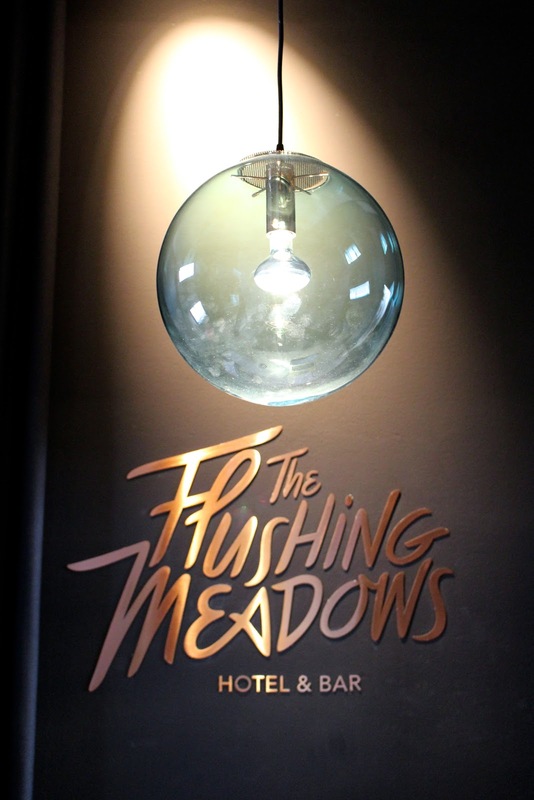 All in all, The Flushing Meadows is a great place for some sneaky afternoon drinks or a relaxed night out. 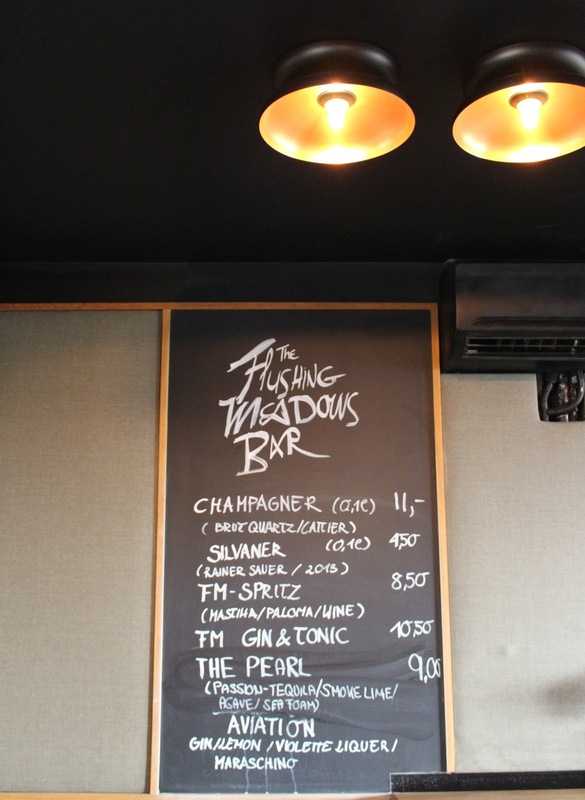 It's one of Munich's smaller bars, but also one of the cosier ones. Not overly packed like most places, but relaxed and easy going. I'd love to stay here once and try the breakfast.. this view is hard to beat and waking up with a Super Danke smoothie doesn't sound too bad either!